Hello my love! Welcome to Witchy Wednesday. A new weekly segment where we discuss all things witchy. Tarot, spells, herbs, magick, gods & goddesses, myths and more. Today, I want to share with you the importance of choosing a specific color for your candle, depending on what type of spell or magick you’re working. Check out the video and then scroll down for a list of candle colors I mention in the video. 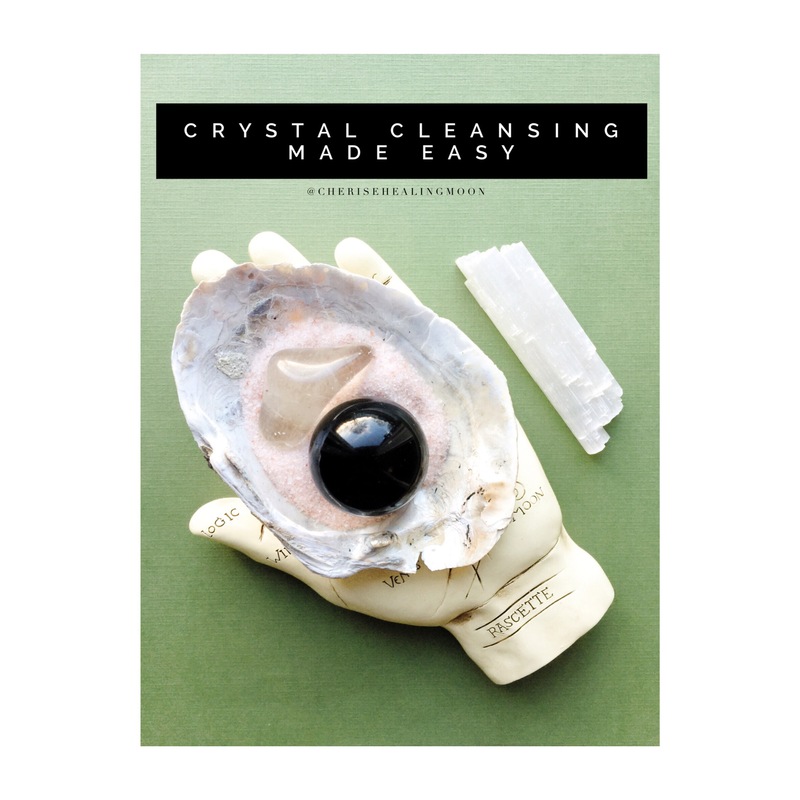 How can you cleanse your crystals? After you’ve used your crystals, whether for healing or spell work, it’s a good idea to cleanse and clear them. A super easy way to do this, and one of my favorites, is to place the crystals in salt. Pictured here, is Himalayan salt, one of my favs. Really for no other reason than it’s the color pink haha. 💕And I like its energy. It has a very calm but powerful energy. Any salt will do though. Salt is purifying, cleansing and grounding. Placing your stones in the salt will cleanse the crystals of any stored energy they may have picked up. 🐚I like to place mine in a sea shell because I like the cleansing (water) energy of it, plus it comes from salt water (added cleansing oomph). But you can place it in a dish or bowl. I usually leave the crystals in the salt for 24 hours. ⭐️This is just one of many ways to cleanse your crystals. Want to learn even more? Make sure you enroll in the Vibrational Crystal Healing certification course! I love protection powders. You can use them in many different ways. My favorite, and one of the most common ways, is to sprinkle the powder along the entryways to your home. 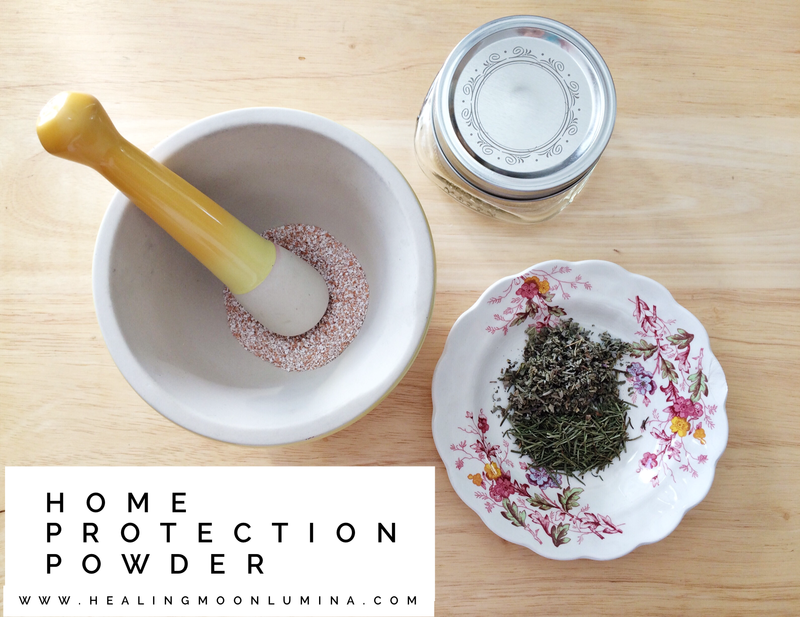 Here is a quick and easy way to make your own protection powder. First, make sure the egg shells you’re using have been cleaned well, rinsed and thoroughly dried. I rinse and clean mine immediately after cracking them and set them in a container in my windowsill to dry out. Once your egg shells are totally dried out, you can grind them to a powder. Some people use an electric coffee grinder. I used my trusty mortar and pestle. Choose your herb or herbs and grind those as well. I chose rosemary and sage as they are both very powerful protective herbs. Mix the herbs and egg shells together in your container. I used a small mason jar. At this point you can add a couple drops of essential oils if you wish. I used my own Protective Oil blend. It’s infused with oils, herbs and crystals. I sell it in my shop. And voila! Your protection powder is complete! I call this a powder, but because I ground the herbs and shells by hand, it was a little more chunky than a soft powder (like baby powder for example). Whether your powder is fine or a little thicker is okay. Take your powder and sprinkle a line of it across your entryway and even windowsills if you desire. As you do so, you can envision a barrier being put up. You can even say a few words or blessings as you sprinkle it. How do you like to use your protection powder? Leave a comment Are Spells Evil? Do They Work?